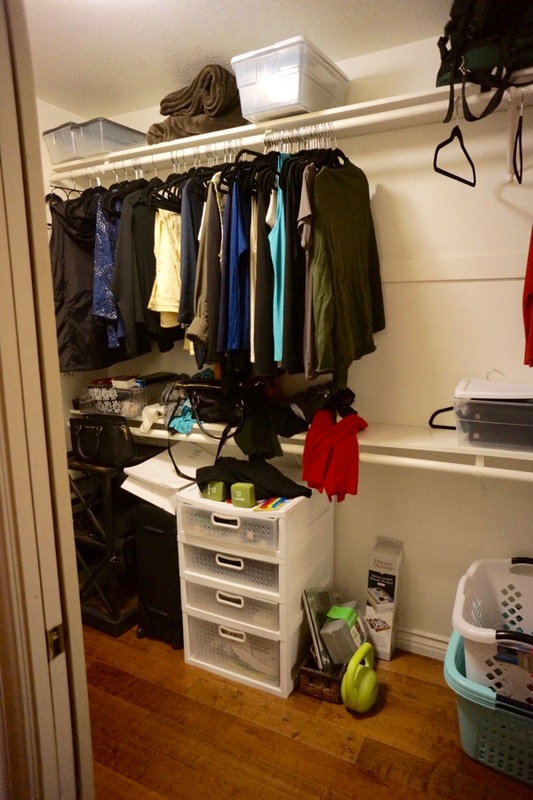 I Organized My Messy Closet Using Three Simple Steps. This is my closet. It is what I avoid at all cost every morning when I wake up. 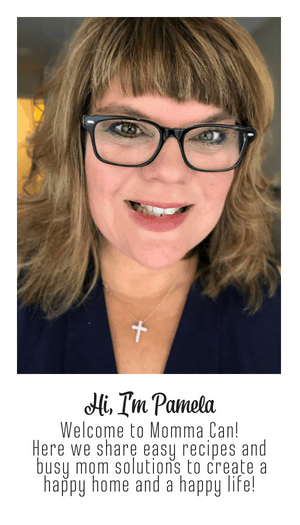 As I am walking to the bathroom every morning, I make a real effort to remove my eyeglasses so that the whole thing is a blur and I make sure to keep the door shut if someone is coming over. Yes, it embarrasses me but I am a super busy mom, my family gets home cooked meals several days a week, I work and volunteer which keep me sane, and frankly the idea of going in that closet to make some organized magic only appeals to me if I think I might have lost 5 pounds and my skinny jeans are calling my name. This is the back of the closet. It is by far the most embarrassing part of my house. 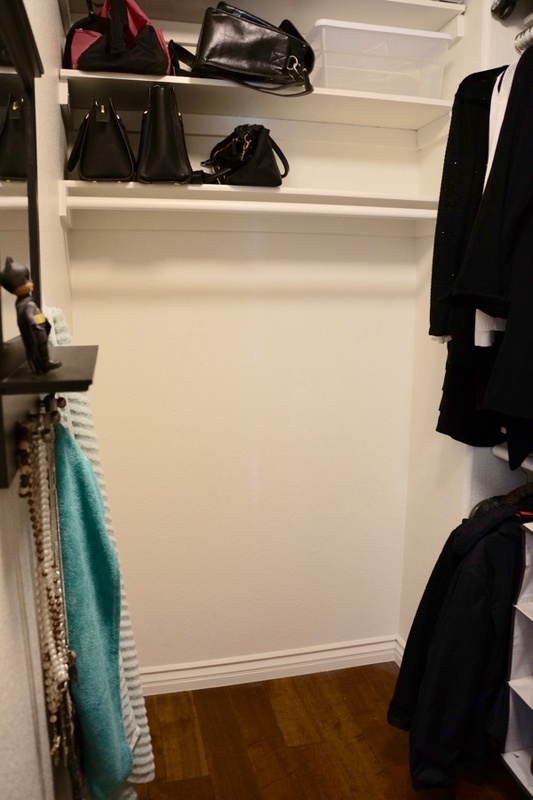 This corner is where I was frantically searching for black dress pants three months ago and is also the corner where I throw clothes that I feel make me look too plump that day. 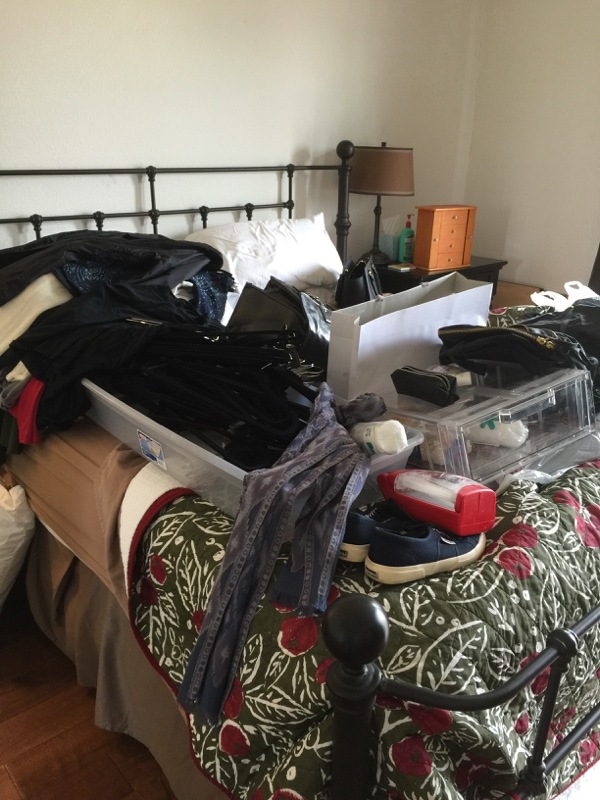 This photo reflects my scary un-organized closet and I was excited that I carved out time to get it organized. The process really lifted my spirits. 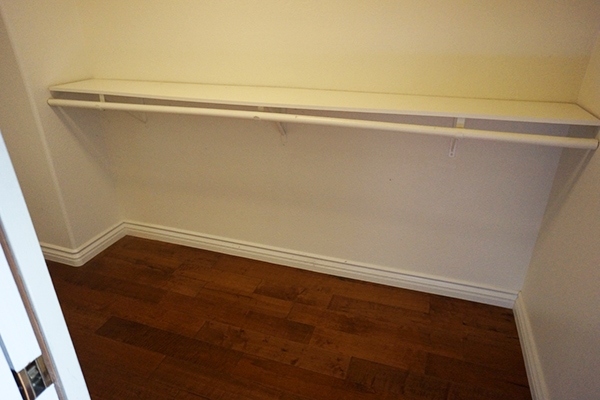 The first thing I did to get this crazy, messy closet organized was to empty it completely. I should have taken more photos of the empty because our bedroom was completely full of stuff. About half-way through I started getting a bit cranky and was thinking of abandoning the whole mess and going to the local Jamba Juice for some kind of fruity happiness. Yes, this is my real closet and that is our real dirty laundry. 🙂 I probably should have edited the laundry out or just filled it with towels, but I had promised to keep it real. But oh my, look at all the space. In step 3 I added back all my stuff. I took my time and grouped like things together and carefully hung up all the clothes that I had decided to keep. 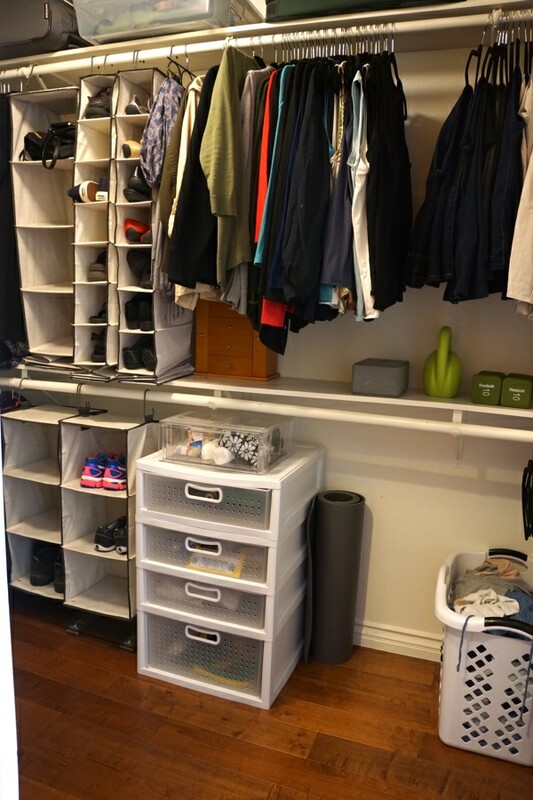 The best part is that I did not spend one dime on the closet makeover. I so glad I organized my messy closet. I used organizing tools I already had on hand and utilized a three-step process and IT WORKED! 1. Remove All Items. 2. Get Rid of All Clutter and be honest about what you need and what you don’t. 3. Put items back in an organized manner by grouping like items together. I love the after…wanna volunteer to do mine as well 🙂 I have been dreading this task for a few years now. I have to go back and do it again after travel time. When school starts I wil switch ditch what I didn’t wear since the cleanout and find my top 3 favorite pairs of jeans and donate or store the rest. I pretty much wear the same thing in different colors for work and then black tshirts at home. I would love to help you. lol But I am pretty sure you will enjoy doing the proccess it is so much fun lookint at before and afters. I feel inspired to declutter my closet now! I really like the photo of where you took everything out. I always miss this step and it never works out well! How good does it feel to get rid of all that clutter?! I love cleaning out my wardrobe! It feels really awesome when I can find what I need. Wow! 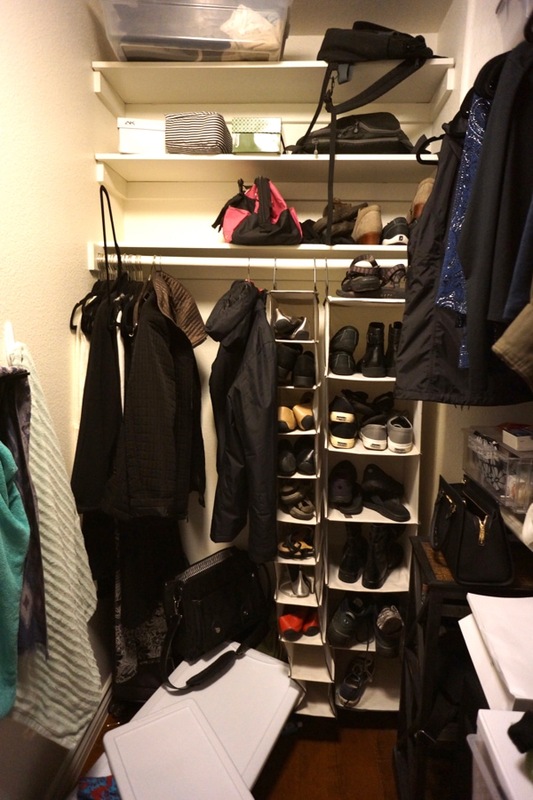 That looks great, I really need to do our closet, but it isn’t a walk in closet 🙁 and my hubby has more clothes than I do…my downfall is shoes and purses. Why oh why , do I keep all of the purses?! !